As a child I never got to fully complete Spyro The Dragon. I have always wanted to, but it’s always been as if a fabled dragon was guarding a treasure room whose contents contained the metaphorical gold of a satisfied youth. In the fall of 1998 when I was 9 years old my mom rented me a Playstation console from Blockbuster and the aforementioned game. Having grown up on the NES and SNES, this was my first foray into a fully 3D rendered world, and I was instantly hooked. For two days I binged Spyro at every available moment and was making great progress, yet sadly, in a moment that is the epitome of the quote “parents just don’t understand”, one night my mom turned off the console and all my data was lost. Rented consoles didn’t come with a memory card, so in that split second the progress of two days was crushed. Months later I received my very own Playstation and with it came a demo disk that contained the first area within Spyro. I played it many times but the full game always eluded me. 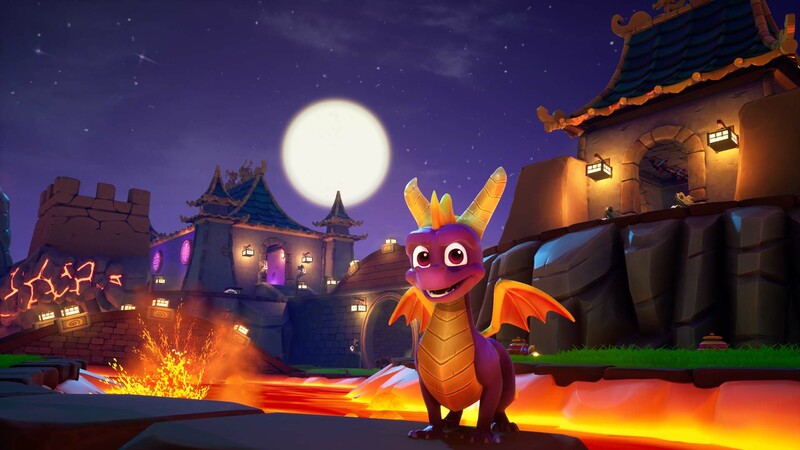 As I grew up, sitting in the back of my mind has always been a desire to complete it, so earlier this year when the Reignited Trilogy was announced my ears perked up, and now, months later after binging the game for a few days straight, a childhood hunger has been satisfied and even the adult version of me is happy, because guess what, this remaster is pretty great. Read on to find out why! 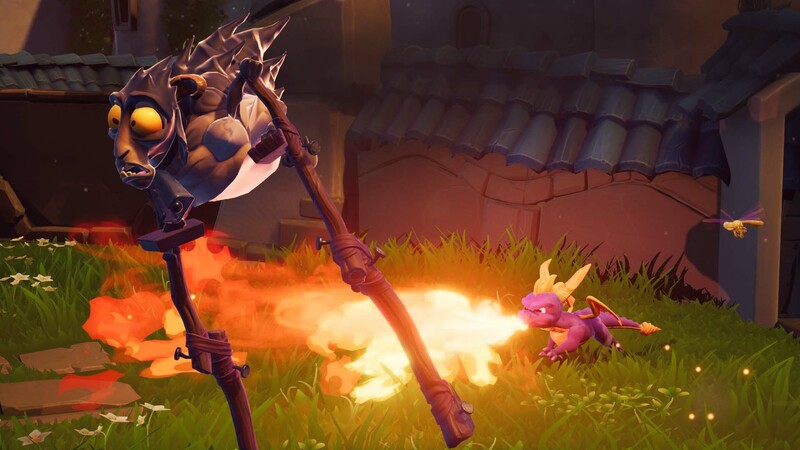 Containing within it the first three games of the Spyro series, the Reignited Trilogy is a lovingly crafted experience that exudes more charm than any game I’ve played all year. 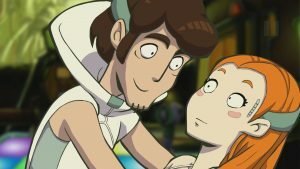 The animations are often funny and exceedingly well done. I never got tired of burning sheep just to see their wool-free and naked bodies stand up to cover their more sensitive areas. 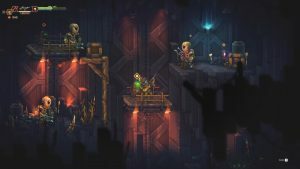 Meanwhile, enemies, of which there is a massive variety between the three games, are full of life and humor. My favorite was a stone golem monster called an Earthshaper from the second game. In order to kill one you have to headbutt it repeatedly until it’s pushed into a lava pit, upon which they look down, give a deep expression of regretful sadness and wave at you until they explode. It’s genuinely hilarious and due to each new area offering up at least a few new enemies, the animations within the titles were always something I could look forward to, even in the moments where collecting gems got tiresome. The core gameplay loop of the Spyro games are very simple. The goal of each game is to collect as many gems per level as you can. 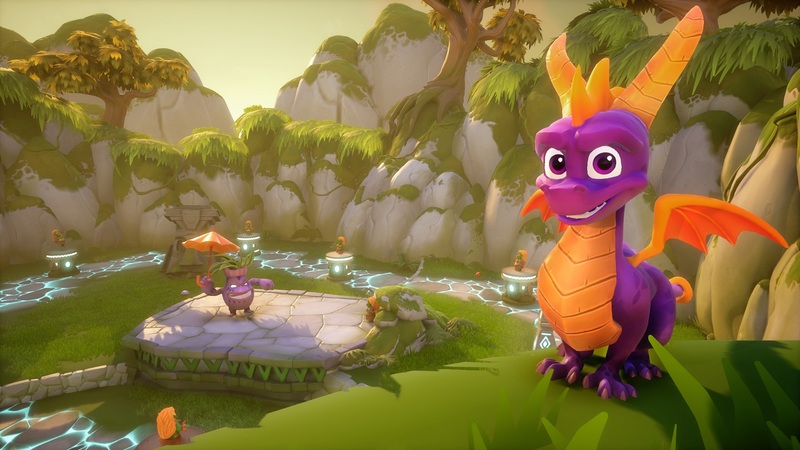 Each game also offers other collectables in the form of dragons, trinkets, and dragon eggs, but these are much lesser in quantity than the 10,000 plus gems you will find within each game. These titles are peak 90’s era platforming collectathons, so if that genre isn’t for you, then this is definitely a game worth skipping as that’s almost all it offers. As mentioned above there is combat but it’s incredibly easy. Almost all enemies can be killed with one single press of a button. You either incinerate them with Spyro’s dragon fire breath, or you headbutt them. The game’s offer very little in the way of an actual challenge. The most difficult time I had was a variety of time trials that are not very lenient in their extra time, but once you determine the specific path necessary to destroy the four sets of eight different items within each area, then you’ll beat them no problem. I was never stuck on one of them for very long. Each title also has boss fights and thankfully they improve as each game goes on. The first title was especially disappointing in how it handled the final boss. 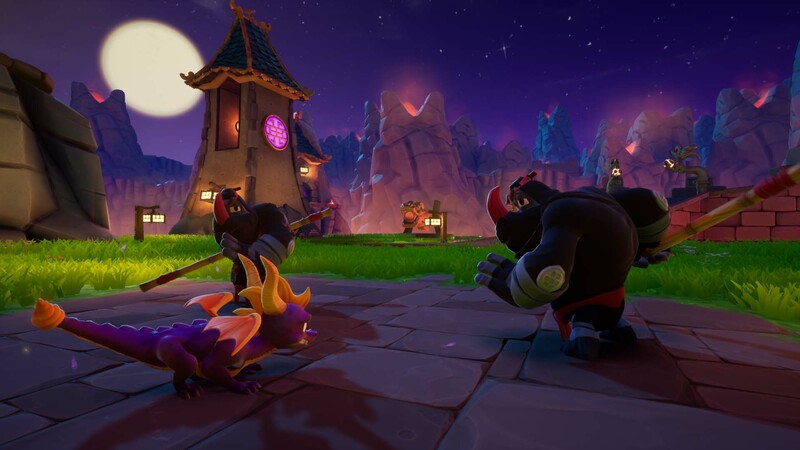 Ripto’s rage, the second title in the franchise, remedies this problem and the fights begin to have different mechanics as well as a larger variety of them. They’re still mostly easy, but this is a remaster of a kid’s game, so I can’t exactly hate it for that. 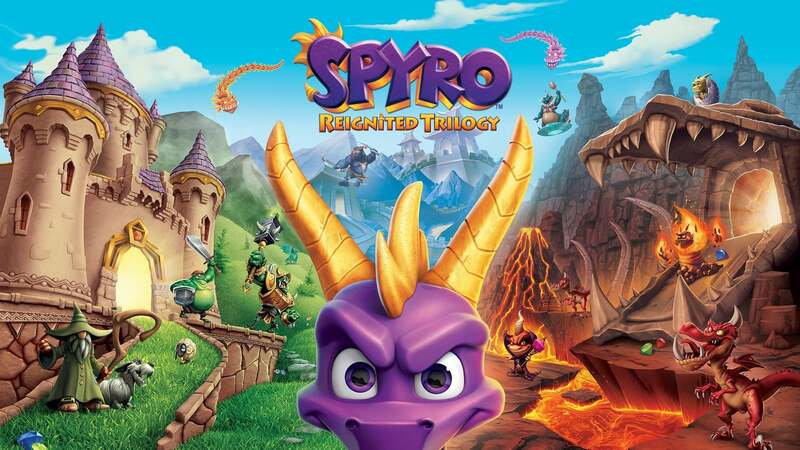 In all there is very little I can fault the Spyro Reignited Trilogy for. Graphically it’s absolutely gorgeous. Both in detail and design there’s a lot to commend. It looks like a modern kid’s CGI movie come to life. There’s tons of details and I never got tired of seeing the grass burn away as I spewed hot fire from my mouth, and the levels themselves look phenomenal. As you progress in each game you unlock magical doorways that lead to a new realm, and each realm offers up a different environment than the last. Environments that look great. The game has a storybook charm to it and I was constantly enjoying the sights that each new area put on display. If I was to pick one qualm it’s that the second game focused a little too much on water levels, but even that didn’t hamper my enjoyment too much as the swimming isn’t particularly hard to control, I just don’t like water levels when it comes to gaming. Speaking of controls, Spyro handles mostly well. I had a few issues when doing a charge run as often it could be finicky about heading in the direction I originally wanted it to. Too often I would point the character towards an enemy or a set of pots only for him to run in a different direction, but it wasn’t an issue I couldn’t overcome. My only other problem stemmed from times where I’d be gliding towards a ledge, and even if it looked like I was above the threshold of what should have been a successful landing, I’d hit what appeared to be an invisible wall and sometimes fall to my death. Thankfully on a second retry I almost always was successful. As for major or really even minor glitches, there was none that I encountered. This is hands down the most polished game I’ve played all year. Toys For Bob, the development team behind the game should be damn proud of themselves. Given the history of their publisher Activision, I’m legitimately shocked it ran as well as it does. 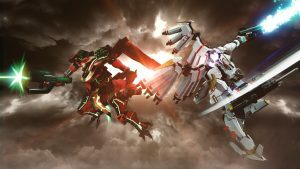 I think people got worried when the title was suddenly delayed as we neared the month of its originally slated release, but regardless of whatever issue went into that decision, the game shows no signs of any problems. Oddly my biggest issue with the Spyro trilogy itself is it’s lead character. I love the look, design, and feel of the small purple dragon, but the thing could have been silent and it’d have been all the better for it. Spyro is just not a likable character when it talks. Don’t get me wrong, it’s not offensively bad or anything, he’s just very uninteresting and kind of annoying. As for the rest of the sounds within the title, all is quite good. None of the music stood out in a way that makes it memorable, but I didn’t ever hear a track that I disliked. Each tune matches the environment you’re exploring and the voice acting for each character appears to have been re-recorded with what I can only assume are new voice actors. They all do well enough. There is a story to each game, but considering these are 90’s collectathon platformers, it’s definitely nothing to write home about. Though I did like some of quick cutscenes that introduce and close each level within the second title. Some were genuinely funny in a corny humor kind of way. 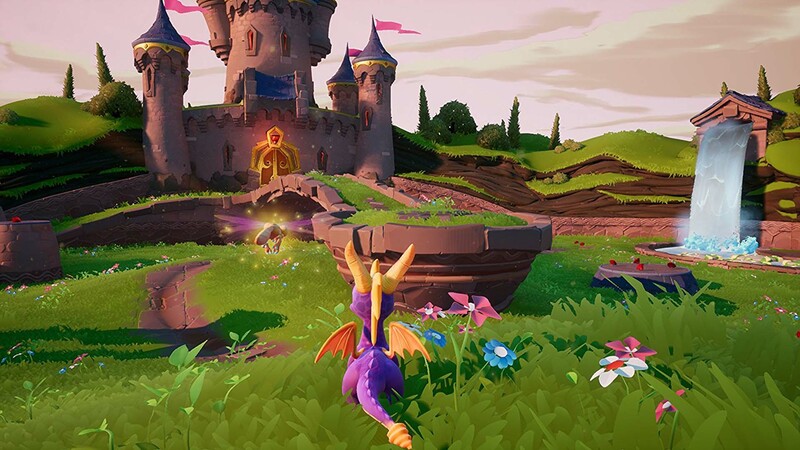 Overall the Spyro Reignited Trilogy is an exceptionally well done remaster. If it ever comes out that this title wasn’t a passion project for its development team I’ll be absolutely shocked. It’s hard to imagine a title filled to the brim with this much charm could be made under any other circumstance. 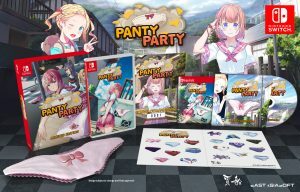 It’s not a difficult game, but something like this doesn’t need to be. It’s just fun, and every now and then it’s great to just have a title that one can just sit back and chill with. 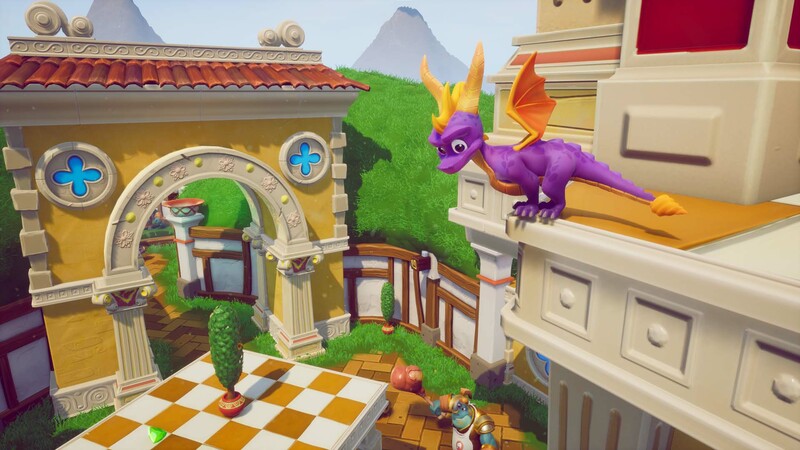 Spyro Reignited Trilogy is a lovingly crafted experience that is bound to satisfy anyone who was a kid during the era of 90’s mascot platformers. It’s a joyous and relaxing experience that made me smile at almost every turn. 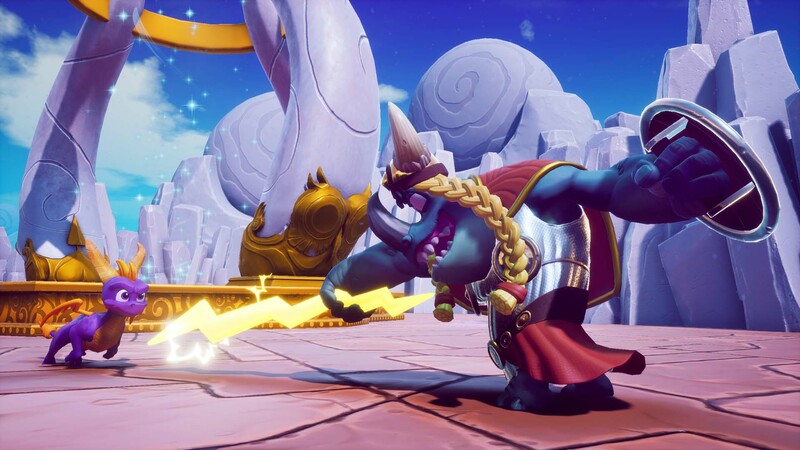 Spyro Reignited Trilogy was reviewed on PlayStation 4 using a review copy provided by Activision. You can find additional information about Niche Gamer’s reviews/ethics policy here. Collecting gems will eventually start to drag, maybe not a game to binge one after the other.